After watching President Obama speak at the Vietnam Wall in Washington, DC, this Memorial Day, 2012, I thought I would give only a glimpse of the 22th of January, 1968, when this picture was taken. 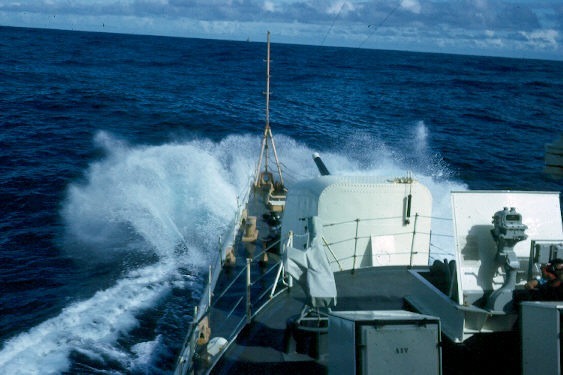 The U.S. Coast Guard Cutter Half Moon sailed from New York Harbor on April 1,1967 bound for duty in the waters of the South China Sea off the coast of Vietnam. Homeported at Coast Guard Base, St.George, Staten Island, she joined four sisters ships making their way to the war zone in the far east. 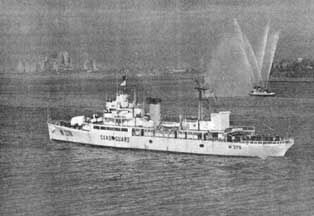 The High Endurance Cutter was one of the original Coast Guard ships of Squadron Three sent to Vietnam. 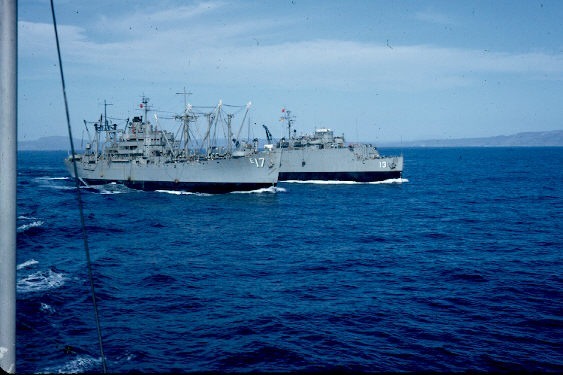 With a crew of 160 officers and men, Half Moon participated in Operation Market time, designed to stop the flow of arms, ammunition and supplies to Viet Cong units in South Vietnam. While in Vietnam, Half Moon complied a most enviable record. In addition to conducting endless patrols and boardings of suspect vessels off the coast, she was always ready to respond to a call for gunfire support from U.S. and allied forces ashore. Some of her impressive statistics: 13 Viet Cong killed, 64 military emplacements and structures destroyed or damaged, four sampans sunk, four secondary explosions observed and significant military equipment damages or destroyed. When not inspecting vessels or providing support with her guns, the cutter served as a home base for 50-foot Navy Swift boats. The 311-foot cutter’s return to New York marks the end of yet another assignment. WELL DONE. In 1967, Half Moon’s colors were proudly displayed at such poarts as Guantanamo Bay, Cuba, Miami, Florida; Panama Canal Zone; Pearl Harbor, Hawaii; Subic Bay, Philippines; Hong Kong; Kaoshiung, Taiwan; Bangkok, Thailand; Sasebo, Japan; Vung Tau, Nha Trang, and an Thoi, Vietnam. I posted something on Facebook that may have made no sense to anyone on Facebook. So, I thought I would expand on it here. 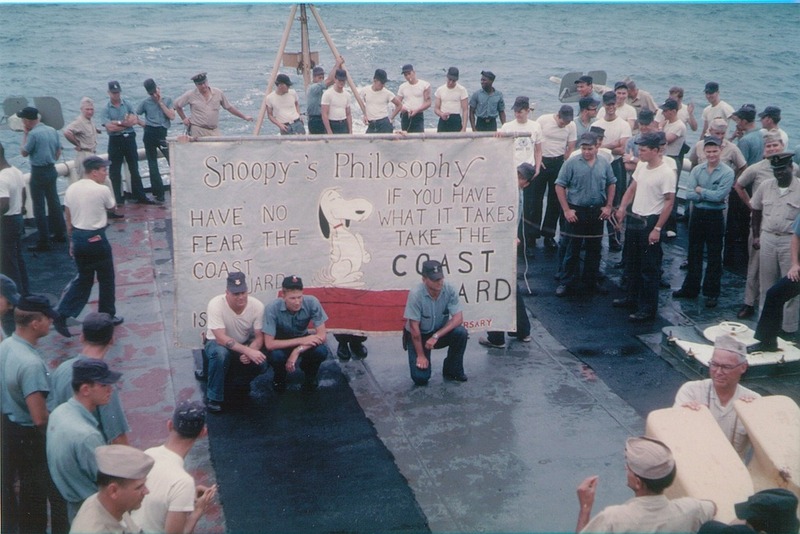 Veterans Day 2011– To all of those US Coast Guard crew members of CG Ron 3, as we prepared to get underway for our tours in Vietnam. 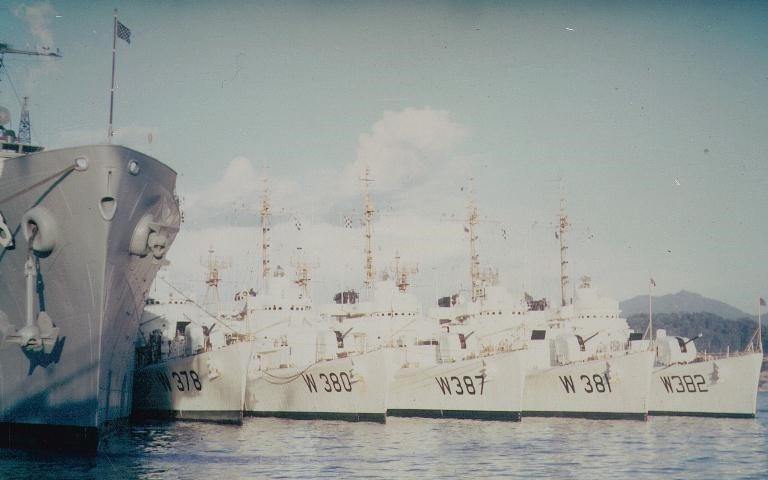 I thank the crew of the CGC Halfmoon (WHEC-378) that we each did our duty to return home and for making a difference for those who we supported, especially the Soldiers and Marines who we provided cover for and the Navy ships that provided us with what we needed to do our assigned tasks. 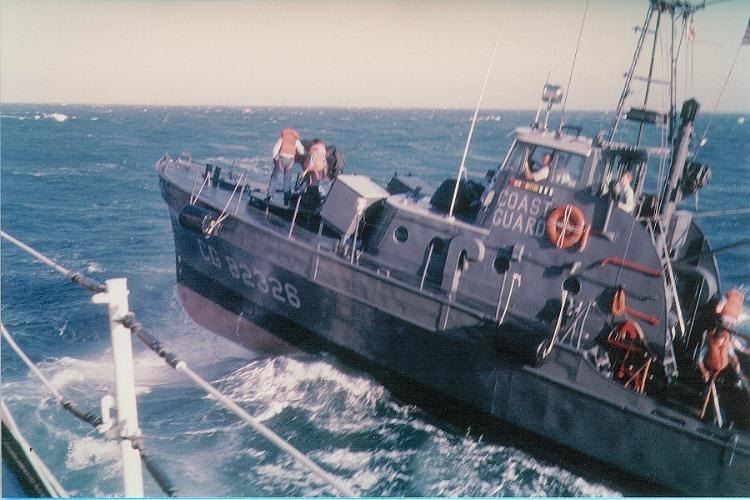 The above is the Coast Guard Squadron 3 outboard of the USS Jason. 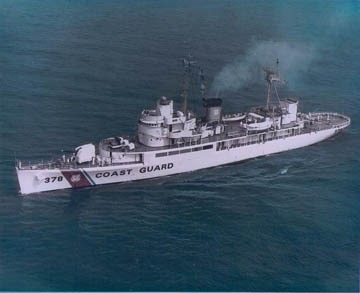 I was in the Coast Guard from 1964 to 1968 with most of my time on board the Coast Guard Cutter Halfmoon (WHEC378). In April 1967 we left Staten Island, New York for “an extended cruise”. After joining 2 other Coast Guard Cutters from the east coast, we journeyed to Hawaii. There we joined two other cutters. There has not been two many times when 5 Coast Guard Cutters are in convoy across the Pacific from Hawaii to the Philippines. 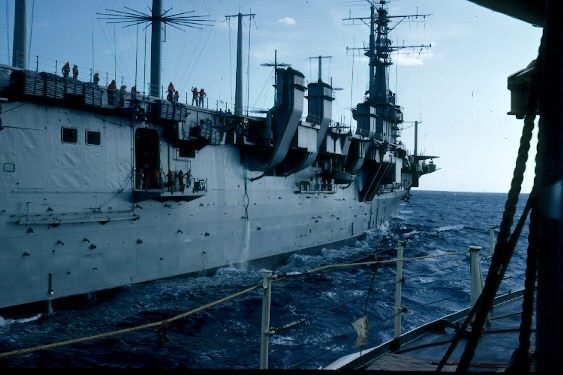 From there we spread out to various assignments off of the Vietnam coast. I wanted to Thank the crew of the CGC Halfmoon for all of the tasks that each of us had to do just to keep this “old” ship, some would have called it a rust bucket, running. But our task was at least two-fold, 1) to do off shore support for the troops on the land, and 2) small boats, or river boats providing them with Fuel, Food, Films, Mail so that they could do their job. TheCGC Halfmoon was 311 feet long. This let us get closer to the shore then the much larger navy ships. This was a “82 footer” coming alongside for fuel. This cutter was running up and down the nearby river. Now, the CGC Halfmoon doesn’t carry that much extra supplies, so we went further off shore to catch up with the Navy to take on Fuel, for ourselves and for sharing, for Ammo, for us and for sharing, Food, mail, and of course Movies. We could pull up next to a Navy vessel, in this case the USS Arlington, to take on supplies. Some times it included transferring of people. After taking on our supplies, we would return to the our positions off the coast of Vietnam. I wanted to send Thanks to all of the crews of these ships for being away from families and friends, to work together to help keep our freedom. 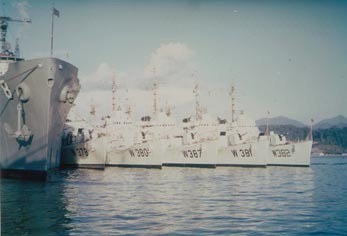 The above was our traditional military warship returning from a WAR on January 22, 1968, fireboats and all.